I’d give this 4.5 stars! 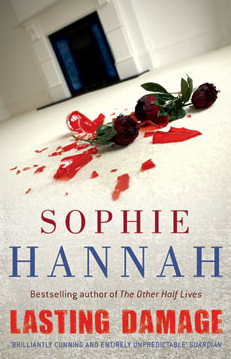 I’m never sure how complimentary it is to either author when a books says ‘If you like Sophie Hannah you’ll love this’ but I guess I get the point of it although personally it didn’t make me buy this book, I bought it because I thought it looked good. Anyway. 4.5 stars from me – would’ve given it 5 except that I guessed whodunit! This is one of those books that just gets under your skin and into your mind. It is an emotional read, one where you sit and ask yourself ‘how on earth would I cope with that?’. And yes, I am embarrassed that there was a typo in my tweet to her! 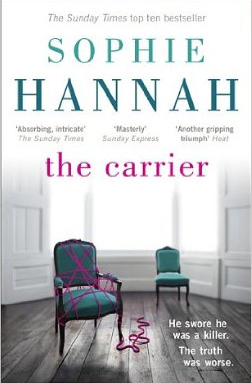 I can see why the comparison to Sophie Hannah was made as this story had that same insidious, paranoid feeling to it that some of hers have. It made me analyse every character within the book and their motivation for every action. Her relationship with her husband was interesting to say the least! Overall a really great book that made me think. Would’ve got the full 5 stars if I hadn’t have guessed ‘whodunit’ and how. To buy a copy of The Cruellest Game click here. Synopsis: Marion Anderson lives the perfect life. 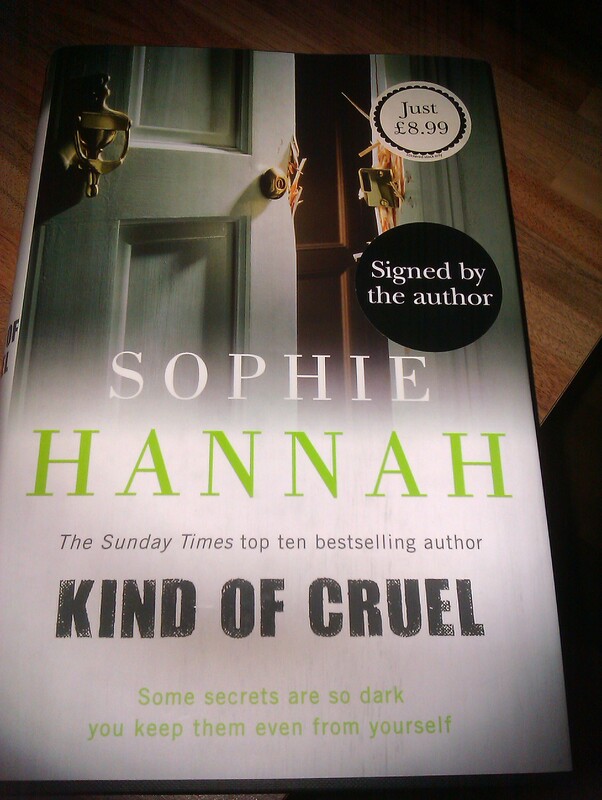 Another excellent book from Sophie Hannah. 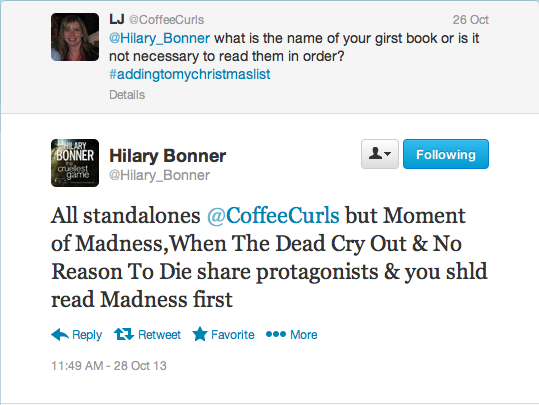 I absolutely adore the way she writes the ‘human’ elements of her books. The passages of self contemplation and, often, self loathing undertaken by her characters really hits home. It’s incredibly easy to believe that these people are real. How wonderful it would be to be as brilliant as Gaby; and yet those uber brain cells of hers seem to bring disappointment ever so easily to her door too. I confessed to @SophieHannahCB1 that I quite loved both Tim and lead detective Simon Waterhouse and she was delighted! She has created two deep and wonderfully mysterious men, both romantic in non conventional ways. Yes I’m still gutted that Waterhouse married Zailer and yes the whole Proust thing still niggles me, but none of that changes the fact that this is yet another very clever story line with well rounded and believable characters. 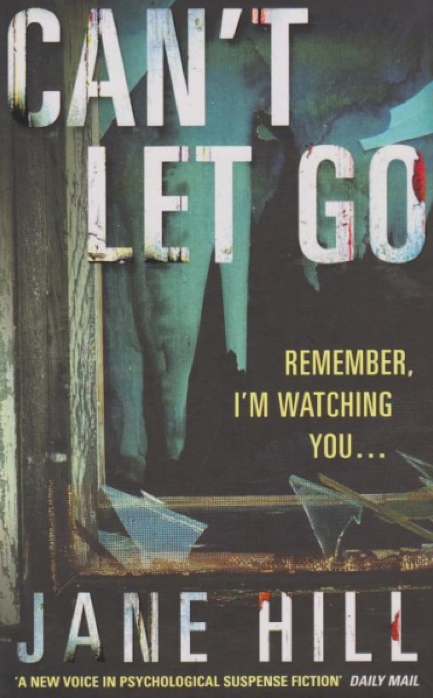 This is a very engaging book, the story line weaves over itself a little too much (in my view) in places but overall I thought it was really good even if there were times where I’m not quite sure that I kept up! If you are thinking about reading this book, I would urge you to go back to the start and read Little Face then work your way through. To buy The Carrier click here.